Power and control for cutting, welding and micro-machining. 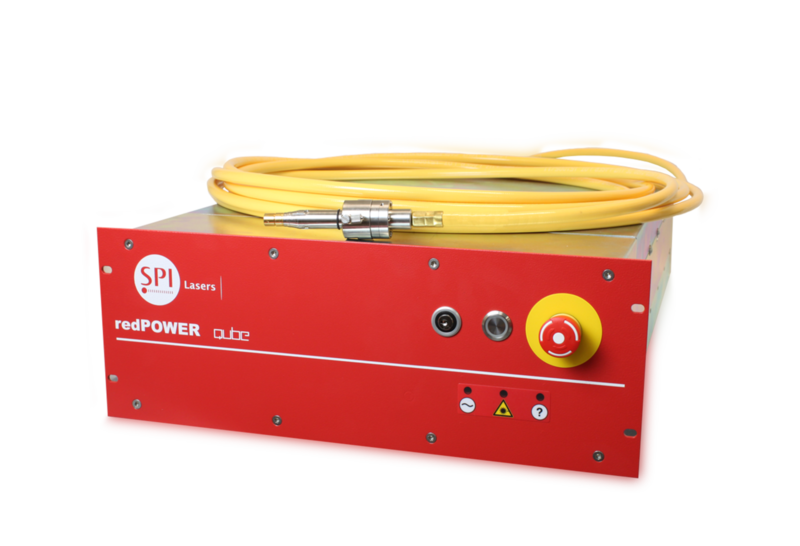 The redPOWER® QUBE series of Fiber Lasers has been designed and tested to meet the highest standards of reliability, performance, repeatability and user safety. The commercial advantages of Fiber Lasers over alternative technologies are far reaching: improved line speeds, finer machining capabilities, reduced downtime and lower cost of ownership, giving users a leading edge advantage. Significant design features of these units include thermal management, low noise, output stability and system-to-system repeatability. Every care has been taken at the design stage to ensure our products offer a long and maintenance-free life. The innovative features of the redPOWER® QUBE include Pulse Shape Equalisation (PSE) and closed loop control, giving class leading power stability and performance, even under the stress of reflections from bright metals. This allows the redPOWER QUBE to produce highly repeatable results for years of continuous operation without maintenance in high accuracy applications, such as medical device production and metal 3D printing. The redPOWER QUBE series of Fiber Lasers has been designed and tested to meet the highest standards of reliability, performance, repeatability and user safety. The Laser user’s ability to control power, modulation rate, pulse width and pulse shape, together with applications tailored beam delivery and control features, make Fiber Lasers a highly versatile tool of choice for micro-machining applications. Specialising in cutting, welding and 3D printing applications redPOWER® QUBE Lasers can be integrated directly into production lines or your machines. A range of output Fibers are available up to 20m in length with single and multi mode options to ensure even the largest machines can benefit from redPOWER® QUBE.